This weekend, we have plans. We’ll be spending the long weekend (and my birthday!) in the Shenandoah Mountains in Virginia. 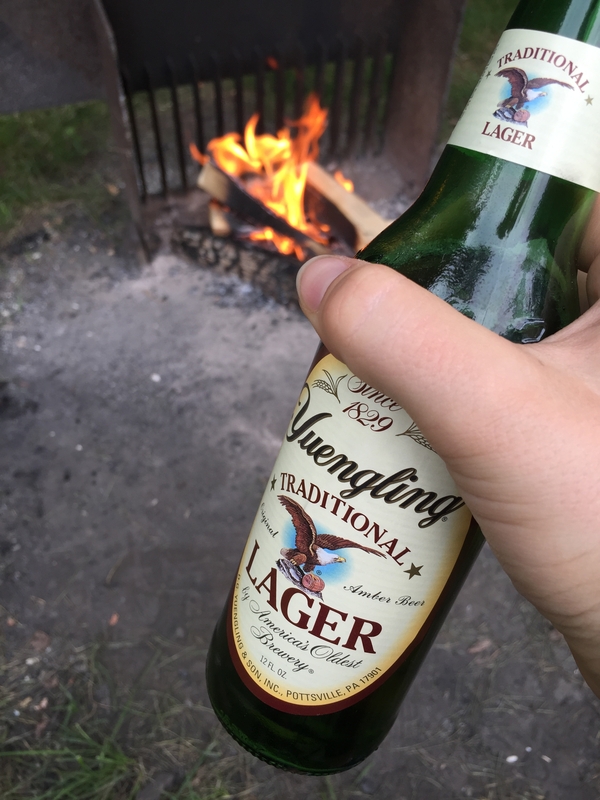 I’ve been looking forward to this camping trip for a couple of months and now that it’s finally upon us, it’s time to start deciding what foodstuffs we’re taking along. 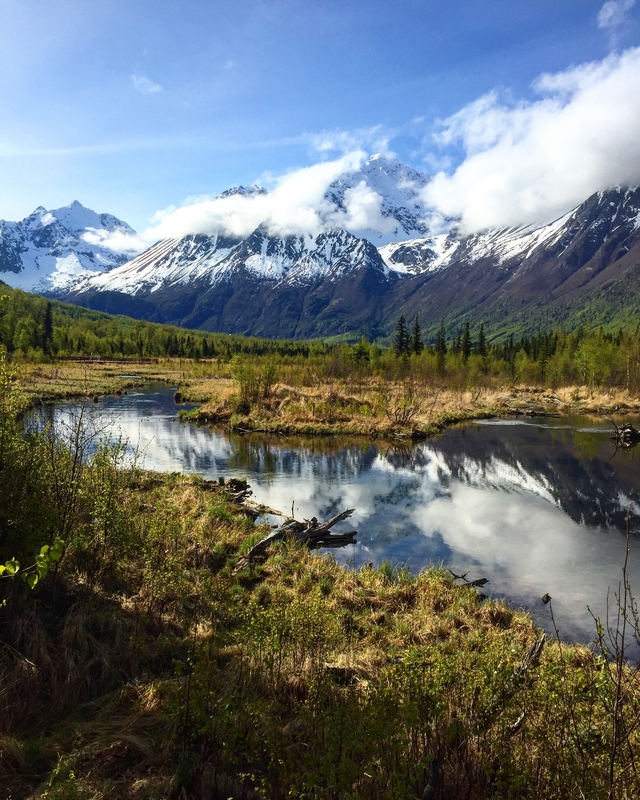 Okay, this is Alaska, but camping there is amazing, too. And isn’t this view incredible?! Now, planning a menu for a weekend spent in the woods, sleeping in a tent, without a proper kitchen, can be a little daunting. But, thanks to years as a girl scout and parents who took us camping as kids all the time, the task of packing the foodz isn’t so bad. Getting started might be the hardest part, but here a few steps I take to make sure cover all my bases. What Are The Cooking Conditions? I always start with this question, because knowing how I’m going to be able to cook my food usually determines what I can bring. This weekend, I’m tent camping, which means no camper or RV with a kitchen. We’ll either be cooking over the fire (dinners) or using my camp stove to boil water for breakfast, and packing lunches that don’t require heat (pb&j!). Knowing that I have a campfire with a grate gives me lots of options – this weekend we’ll be using trusty pre-made (by me) foil packets. We’ll put salmon filets in some, and sliced potatoes, onions, garlic, etc. in the others. They turn out to be some of the tastiest meals ever. Yum! How Many Meals Do You Have to Prepare? I find it really helpful when packing for a camping trip, to plan out each meal ahead of time, that way I know exactly how much food I need to pack. 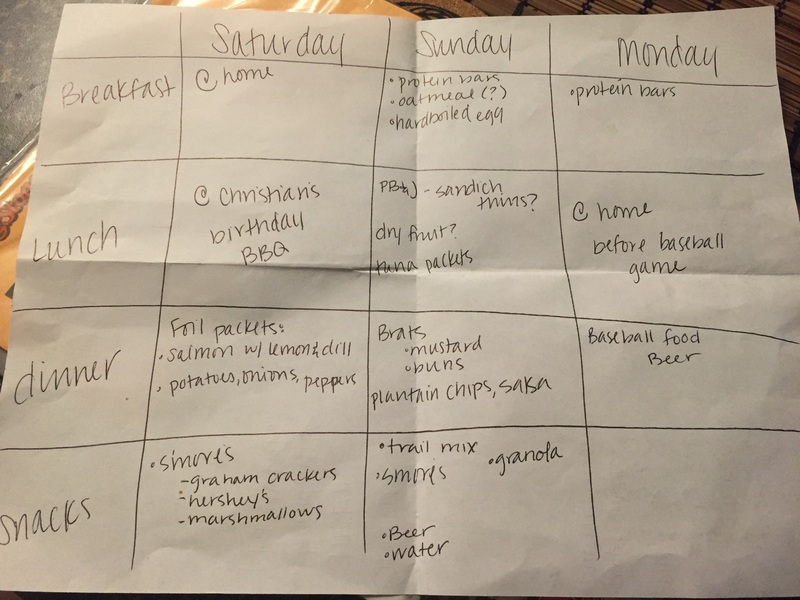 This weekend, we’ll be out two nights, so as you can see from the above grid, I’ve planned out our days by food. This plan will be my grocery list for tonight and my packing list for Saturday morning. I’ll just throw things in the cooler and we’ll be good to go! What Are Your Daily Activities? 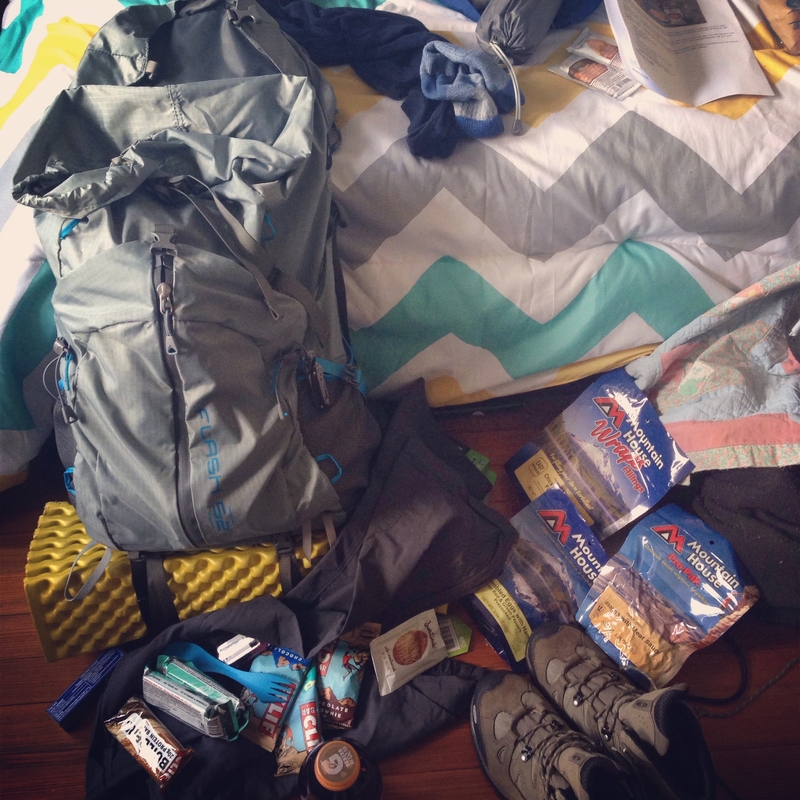 Knowing what you’re planning to do each day you’re out can really help determine what food you should bring. 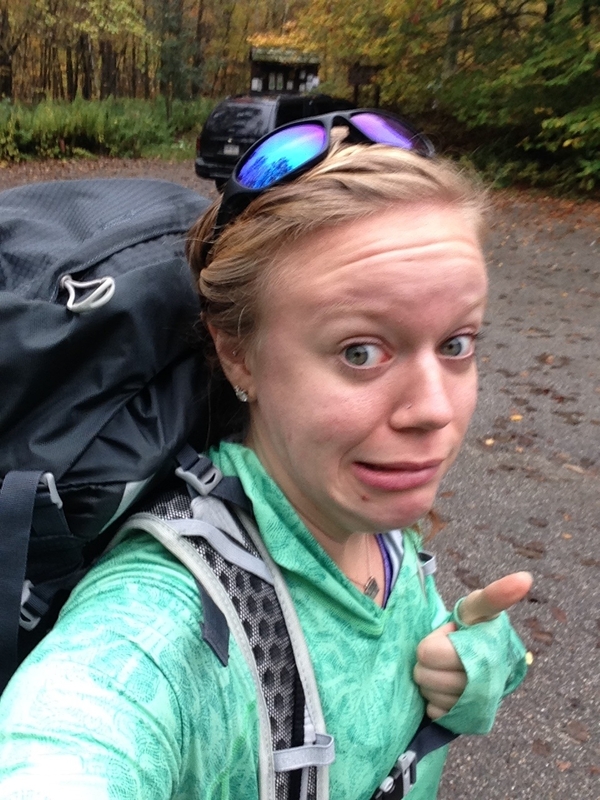 Typically, when I camp, I like to be pretty active, so I know that the food I bring needs to sustain long periods of activity, but also be easy to throw in a day pack. We’ll be hiking for much of the day Sunday, so while breakfast and dinner will be had at the campsite, lunch and snacks will be on the trail. Protein bars, trail mix, granola, and pb&j sandwiches are all great options. They’re easy to pack, both in the car and in your day pack, they’re full of the protein and carbs to sustain a long day of activity, and they’re yummy! One thing that’s important to consider every time you go camping: how am I going to store my food? 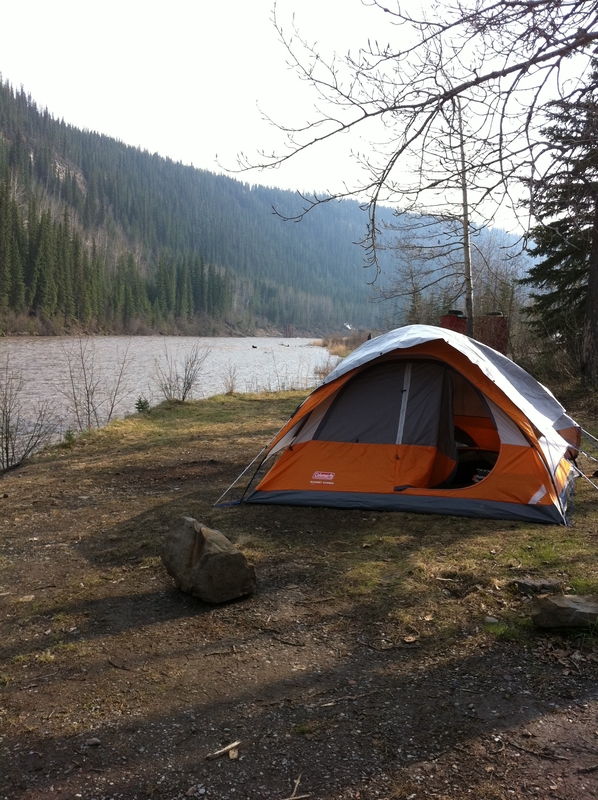 Remember, you’re going to be in a wilderness area – you’re coming in to an animal’s home and just because you set up your tent and stake your claim to an area doesn’t mean that all of the critters will leave you alone. Growing up and camping in Alaska, I was taught to always be bear aware, and that included knowing how to store my food while in the woods. If you’re car camping, lock it up inside any time you’re not using it. If you’re tent camping, make sure you store your food in a bag, off the ground, away from your campsite – never in your tent! Flimsy walls will do nothing to keep a bear at bay. Piggy-backing on the last point, the last key to a successful food venture in the woods is cleanup. Food waste and trash are notoriously smelly, and nothing attracts wild animals like the pungent aroma of last night’s dinner. Proper disposal of these items not only ensures that your campsite stays safe, but also guarantees that you’re doing your part to keep the wilderness clean, so that you and others can come back and enjoy it again. If you’re in a campground, there will be dumpsters for you to use – we usually take our trash out after dinner every night so it doesn’t sit in the car and stink things up. If you’re backpacking, you’ll need to pack out your garbage and dispose of it when you reach an appropriate garbage can. Ultimately, camping is the funnest and cooking over a fire is one of my most favorite things. I’m looking forward to a weekend in the mountains, relaxing by the tent, hiking through the woods, and enjoying some s’mores by the fire – it’ll be a very happy birthday, indeed!